Whatever Happened to Ben and Mark? Not my favorite King. I think the biggest thing is that that book doesn't give you a chance to rest between scenes. Also the women were given very little importance I felt and done away with in this book. It would have been great to have some of them for the final fight or the list of survivors. I also think that the book at times was scary, but not as scary as King could have made it. There were also some minor plot holes here and there too. "Salem's Lot" was a pretty interesting look at vampires in Maine. We follow a writer, Ben, as he goes back to Salem's Lot. He has fond memories of the town from when he stayed there with his aunt as a boy. He returns in order to write and maybe lay to rest a house called the Marsten House had on him too. Ben meets a young woman, Susan, and they start to date. When two young boys go missing, with one found later out of his mind the town starts to wonder if Ben could be linked to (at least Susan's mother does) and then Ben starts to reveal what he found out about the last owner of the house. Quickly things start to go bump in the night. I can't really say that I had a favorite of anyone in this book besides Mark. That kid had guts. King always knows how to write kids. Mark gets hit with a lot and honestly reminds me a bit of the young boy in "Desperation" who dealt with his family being murdered and still going on to confront evil. Ben felt colorless to me, Susan too for that matter. I think most of the adults did. King also spent time developing some characters and not others. For example, Father Callahan felt developed to me, but others like Matt and Jimmy felt only two dimensional. I really wish that women had been given a bigger role in this one. The one character we can see as a co-lead would be Susan. And Susan was there to build up Ben it seemed and that was it. We have Ben saying things like he liked Susan, maybe even loved her. Gee thanks dude. I also wish that King had spent more time building up Barlow and Richard Straker. They are the villains in this piece but they felt like dime store villains. I think I am just disappointed since this is the same King that created It and the Crimson King. I wanted to see the supreme daddy of vampires. Speaking on that, I have to say that this wasn't that scary. 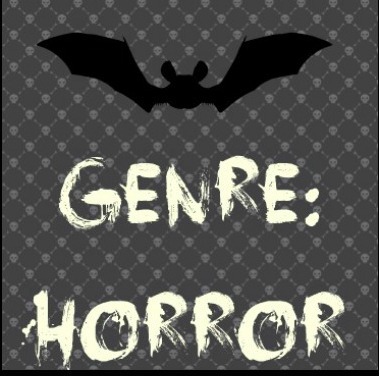 If you are a horror fan I think you will like this book fine. The writing was okay, the flow was off though from beginning to end. At first the book promises to be a story about a haunted or evil house. And then the house really is not that important to the story. We focus on the vampires and the house just felt like a house and that was it. I wanted to get more of a sense of menace from that location. I wanted to feel as if Marsten House was insane. The world building is just a typical one with vampires and them dying by stake, afraid of holy water and crosses. I was hoping for some mythology aspects that would be pretty cool to read about, but nothing much here. The ending was just okay. We are left with the survivors back ready to take on the Lot. 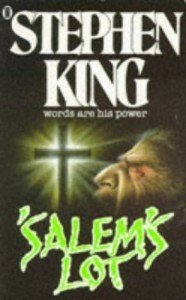 King includes two short stories about the beginning of Salem's Lot and another that talks about what happened to the town two years after the events of that book.